'VAPOR' is direction polished stainless steel. It's polished silvery surface reflects light like vapour trails in 3D across surface. 100% non-magnetic stainless steel, corrosion free. No color is added. 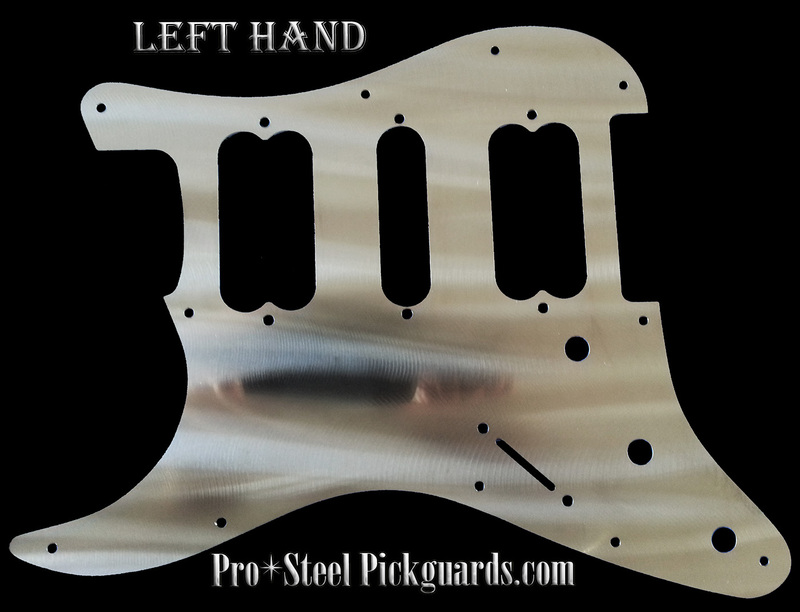 FITS - Fits most genuine Left Handed Fender USA & MiM Strats. Squier Strats - Will fit Squiers, with maybe 1 or 2 screw holes a little off centre.